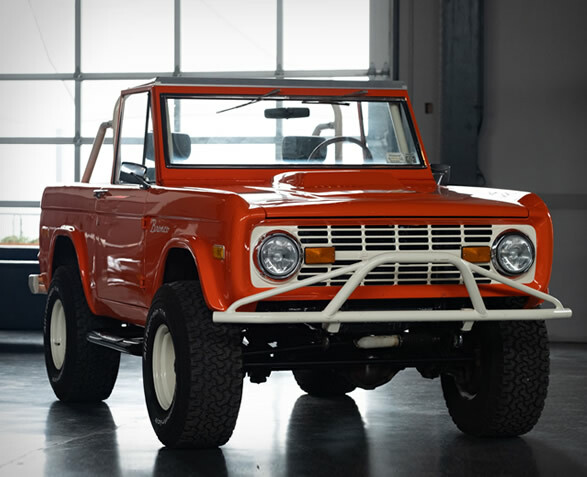 Over the years we have showcased several Ford Broncos, but none with the impressive power and torque of this pristine example. 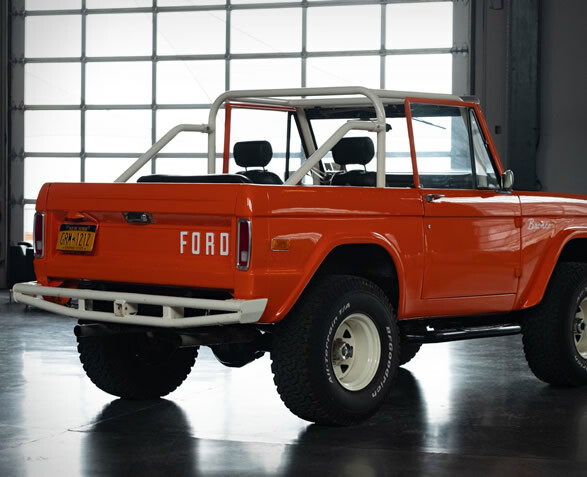 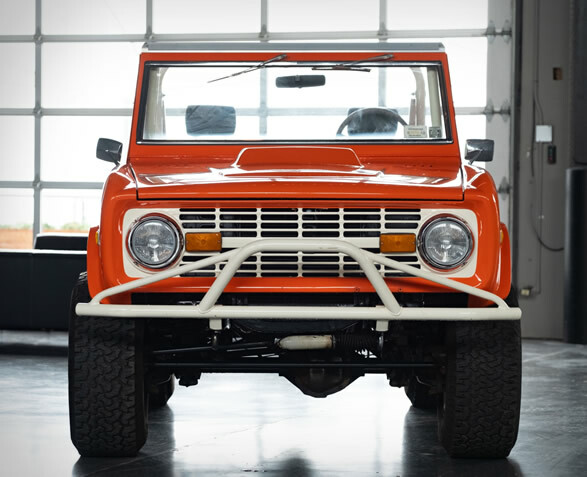 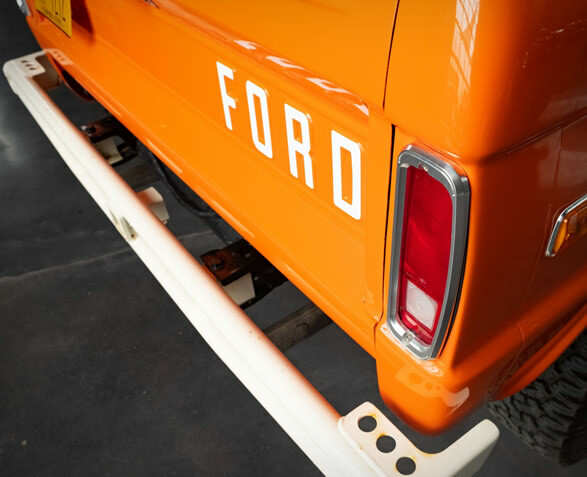 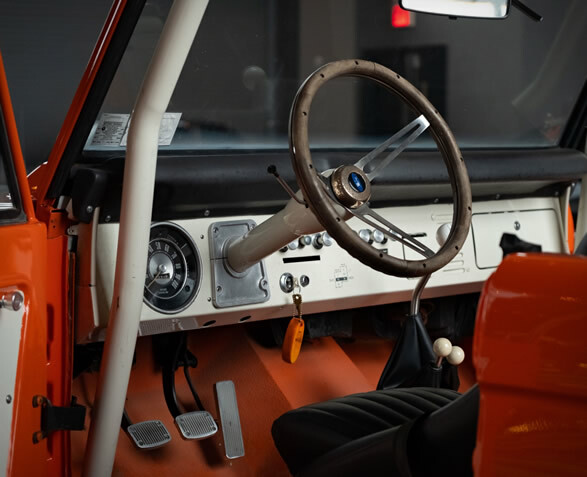 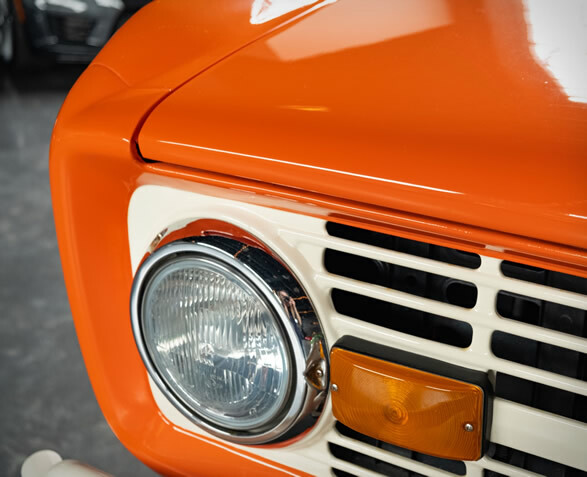 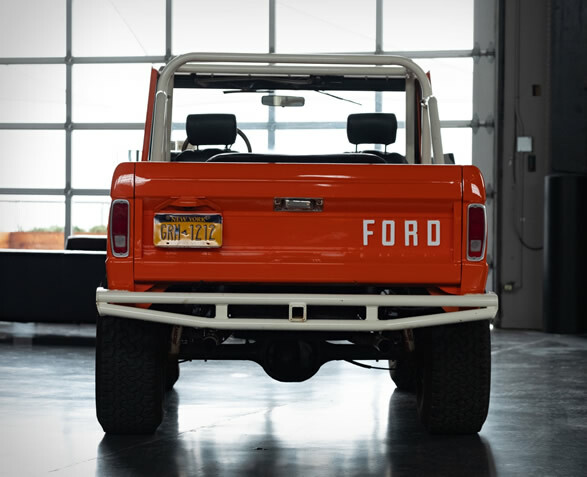 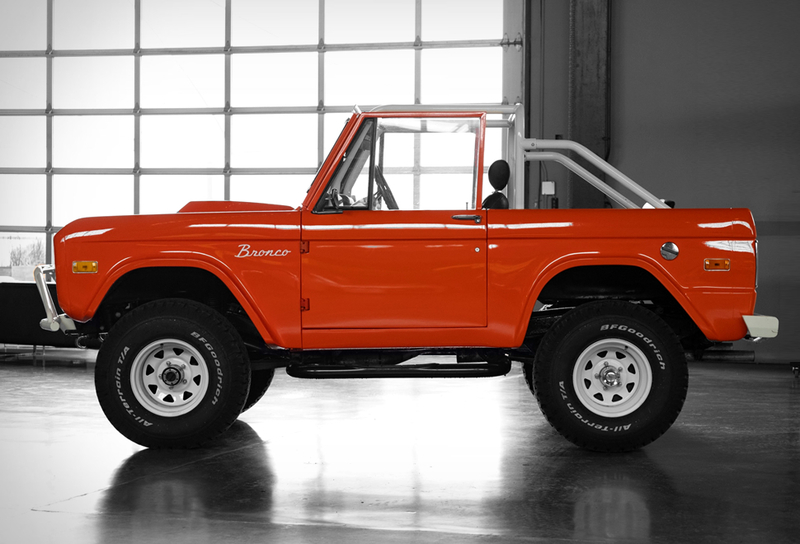 Up for grabs on "Bring a Trailer" auction website, this 1969 Ford Bronco is powered by a fuel-injected 5.0-liter V8 from a late 1980s Mustang, matted to a 5-speed manual gearbox. 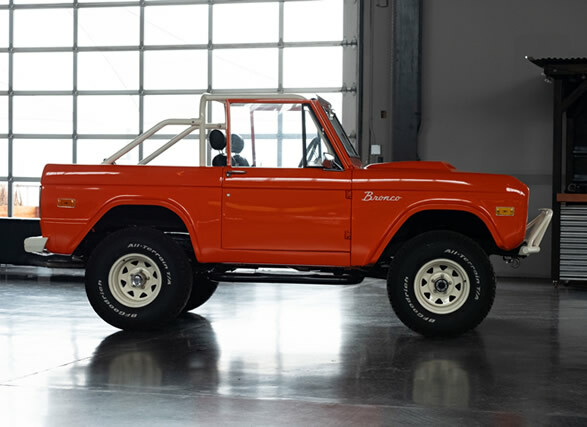 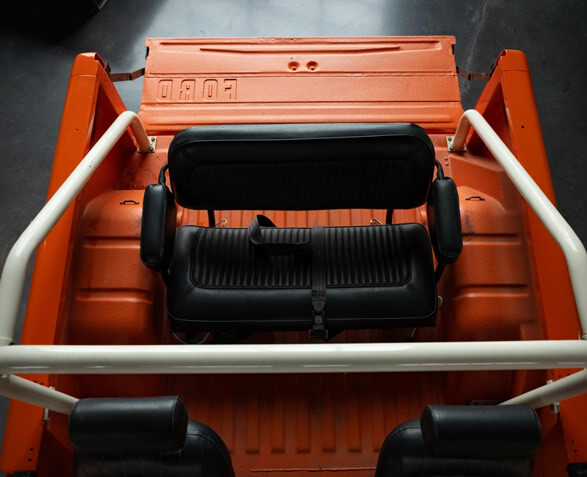 Additional upgrades include a fiberglass body repainted in Kubota Orange, a six-point roll cage, pre-runner bumpers, nerf bars, power steering, front disc brakes, intake and exhaust system upgrades, Corbeau bucket seats, and a suspension lift that makes room for 33-inch BFGoodrich All-Terrain T/A KO tires underneath. 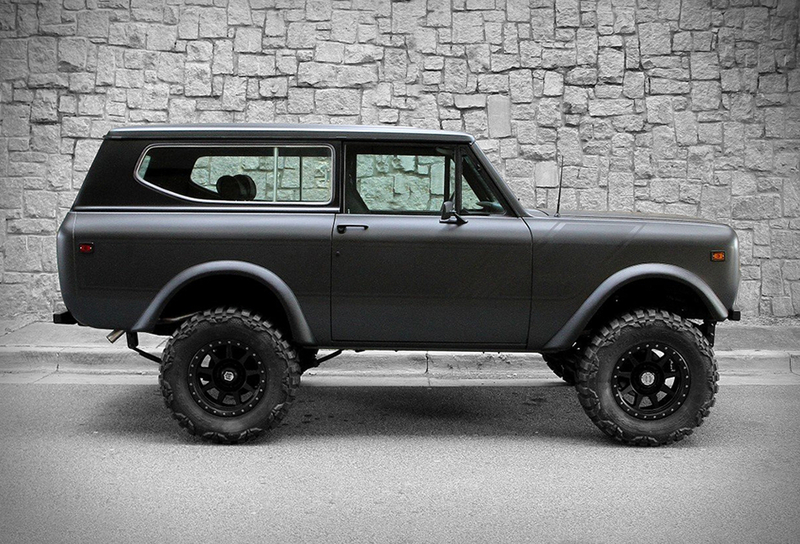 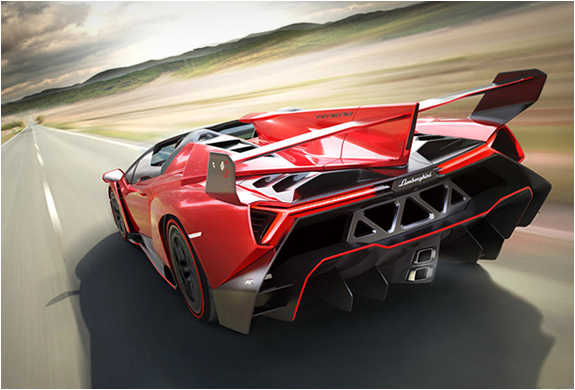 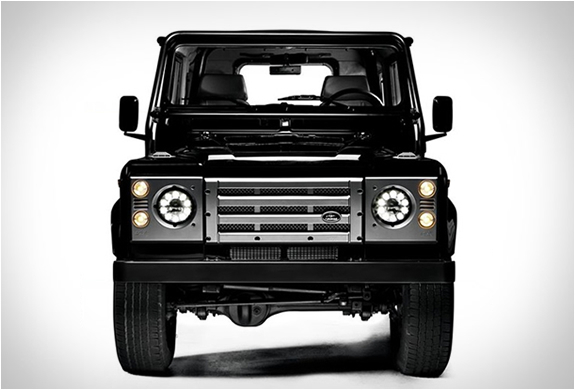 If you act quick and place a bid, this beast could be in your garage soon.